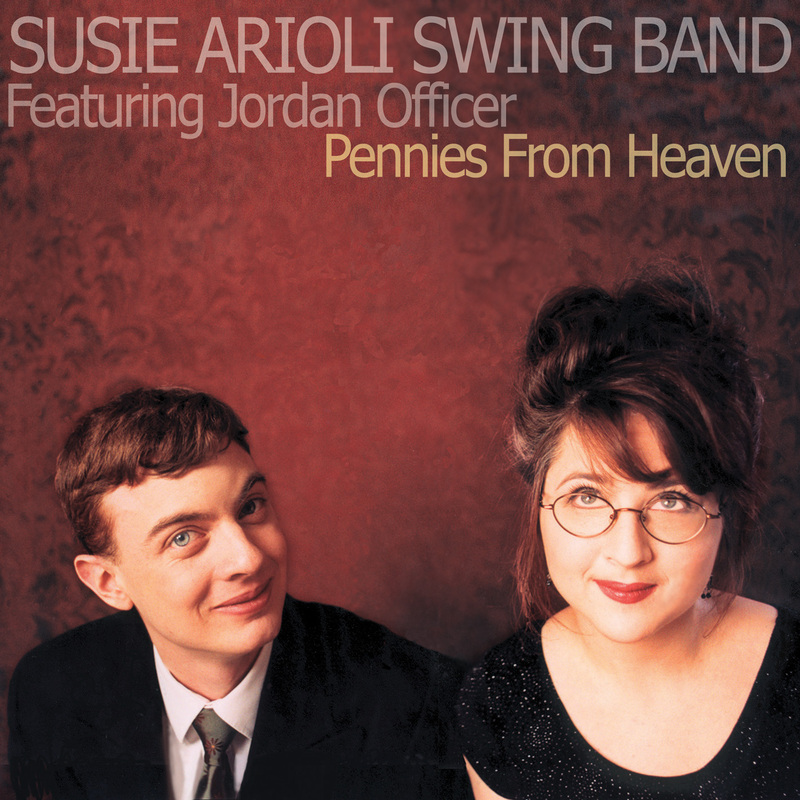 Pennies From Heaven, the Susie Arioli Swing Band's sophomore release, would prove to be Ralph Sutton's last recording session. The stride piano master appears on a hushed, haunting "Don't Explain" and a boogie-woogie romp called "Walter's Flat," composed by Arioli's fabulous guitarist, Jordan Officer, who again gets front-cover billing. Arioli's vocals are chipper and versatile, taking plainspoken delight in songs by Fats Waller, Duke Ellington, Cole Porter, and more. In a quirky twist, Arioli also serves as the band's drummer, softly tapping out four with brushes on a snare drum. Officer, bassist Solon McDade (or Colin Bray), and acoustic guitarist Michael Jerome Brown round out the group's offbeat, minimalistic lineup. Jeff Healey walks on for a Django-esque acoustic solo flight on "Having Fun," a Memphis Slim tune that one could imagine being sung by Patsy Cline. But the chief attraction is Officer, whose twangy, old-school archtop sound and sparse, witty phrasing suit everything from Nat King Cole-style swing ("No Regrets") to rockabilly ("Jordan's Boogie") to Chicago blues (Otis Rush's "Sit Down Baby").